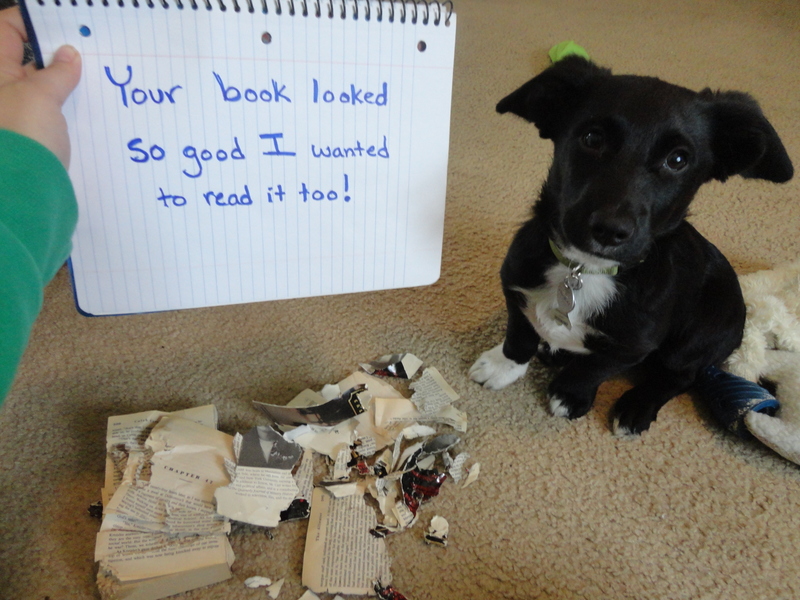 Speaking of books, our Dog Shaming book has been selling like hotcakes! As a matter of fact, they also taste like hotcakes*!! That’s probably why dogs keep trying to eat them. Order your copy today! *this might not actually be true. Posted November 7th, 2013 . That pup is one voracious reader!